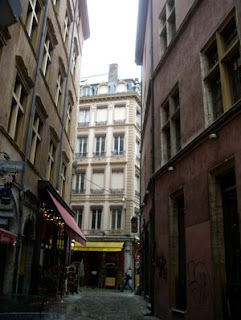 Les Rendez Vous des Gastronomes in Lyon was hardly a culinary experience to speak of. 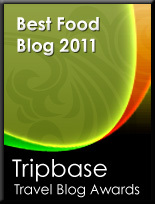 A strange interior, slow service, and tasteless food left me disappointed. 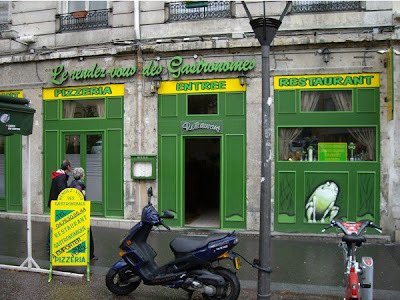 Is this really the meeting place of the Gastronomes? If yes, I really doubt that they have the skills necessary to enjoy good food and wine. Le Rendez Vous des Gastronomes is located in Rue de Terme in the historic Terreaux district at the east bank of the river Saone, facing a small square. It is easy to get there. Take the metro line A direction Vaulx-en-Velin, and leave at Hôtel de Ville / Louis Pradel (5th stop). Of all restaurants visited in my life, Le Rendez Vous des Gastronomes had the strangest interior I have ever seen. Strangely looking forests filled with jumping frogs seemed to be the special love of the person than once made the interior design here. And the colours! Light shades of green and pink made this an extraordinary experience. Did I like it? I am afraid not. € 20 for two course lunch with half a bottle of rosé wine is not expensive. Still, the low quality of the food does not make the meal a bargain. What service? I waited to get the menu, waited to order, and waited for the food. Le Rendez Vous des Gastronomes has so much to improve on service. As I was there were hardly no guests, but I had to wait to get any attention from the staff. This was absolutely not good enough. I ordered grilled peppers with vinaigrette and garlic bread. Looked great. 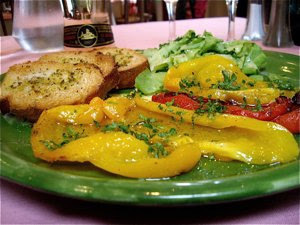 The peppers were well prepared, good texture, delicious sweet taste. The vinaigrette had too much vinegar, and very strongly seasoned. In fact I nearly lost my breath in a few of my mouthfuls. All in all the grilled peppers did not make me tick. 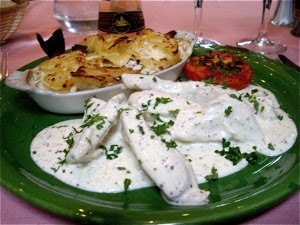 I looked forward to tender chicken in a sauce seasoned with Dijon mustard, sweet and hot. It looked delicious, but the culinary experience ended there. Food shall be eaten, after all, and even the most tender pallet would hardly loose its breath over this dish. I saw the mustard seeds, but the taste was not there. In fact the chicken did not taste anything. I had to add pepper and salt to create any kind of taste. The dauphinoise potatoes were equally tasteless and boring. What a waste of resources!! The wine was the best part of the meal. 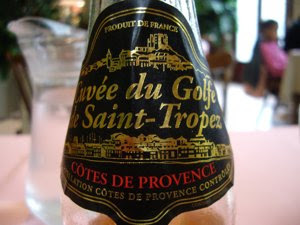 Fruity, well balanced sweetness, as most of the other rosé wines I enjoyed during my time in Lyon. This was a restaurant visit I would certainly not have chosen, if I had known. Ye be warned. 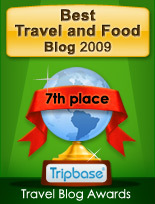 If you would enjoy tasteless food in a pink green froggy forest and bad service - have a try!